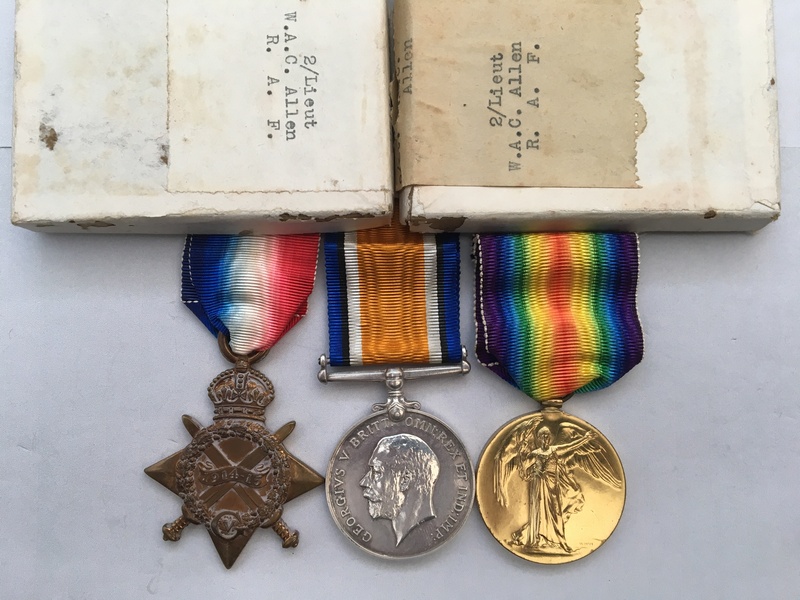 A very interesting family medal group, spanning both WW1 and WW2. The WW1 medals are to 54488, Private (later 2nd Lieutenant) William Andrew Campbell Allen, Royal Army Medical Corp (later Royal Air Force) and WW2 medals awarded to (presumably) his two daughters who both served in the RAF during WW2, 2020251 Leading Aircraftwoman Miss Ivy Florence Allen and Miss E. M. Allen. William Andrew Campbell Allen, initially served with the Royal Army Medical Corps, and according to his Medal Index Card (a paper copy of which will be provided with this listing) which can be viewed by clicking on here (if you have access to Ancestry), states that he arrived in France on the 5th June 1916. It would appear that he transferred to the Royal Flying Corp in December 1916 (a reference is noted on his MIC), and gained a commission on the 15th December 1916. A London Gazette entry regarding him can be viewed by clicking on here and by clicking on here. His British War Medal and Victory Medal roll details can be viewed by clicking on here (again if you have access to Ancestry), and interestingly, he is mentioned twice on the 1915 Star roll, these can be viewed by clicking on here and by clicking on here (again if you have access to Ancestry - both entries note the same name and service number). He appears to have relinquished his commission on the 1st May 1918 due to ill health, the London Gazette entry detail this can be viewed by clicking on here. 1914-15 Star named to 54488, PTE. W. A. C. ALLEN., R.A.M.C. 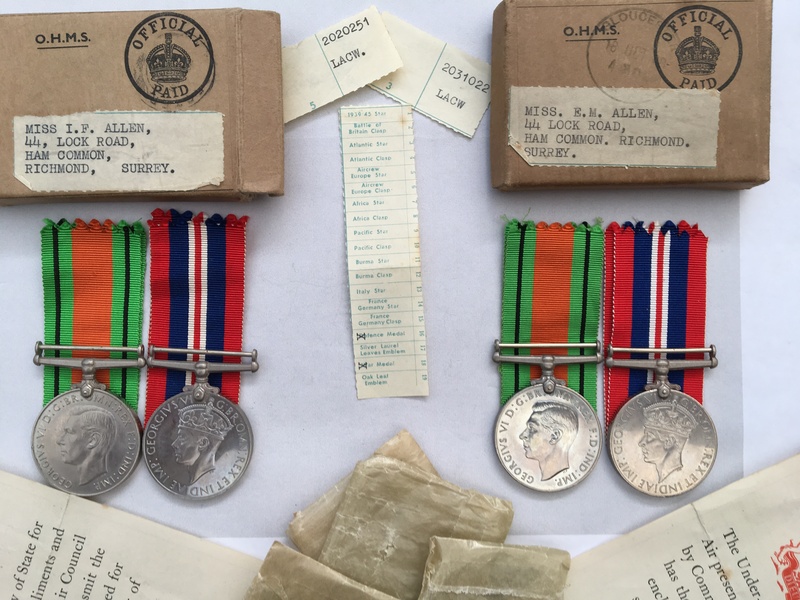 British War Medal and Victory Medal named to 2/LIEUT. W. A. C. ALLEN. R.A.F. 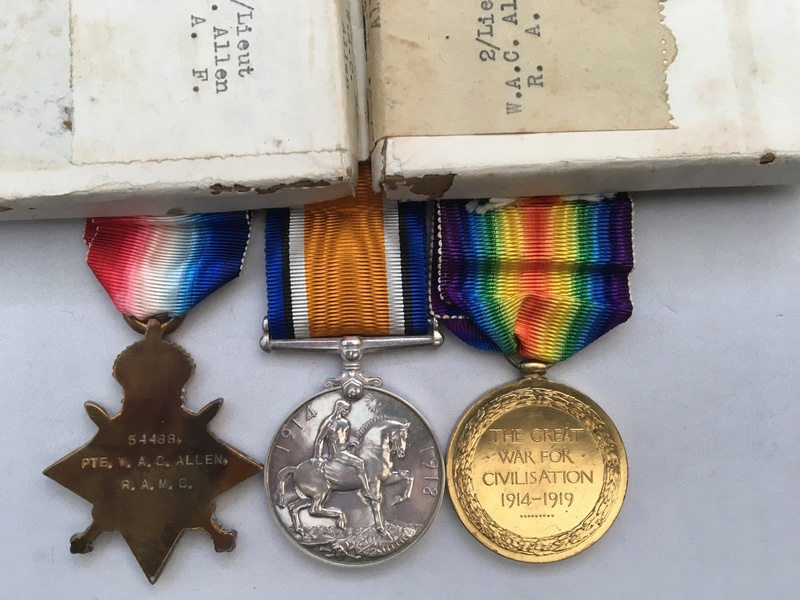 The medals are loose along with their original ribbons and in their original packets and boxes of issue which are labelled with Allen’s details. 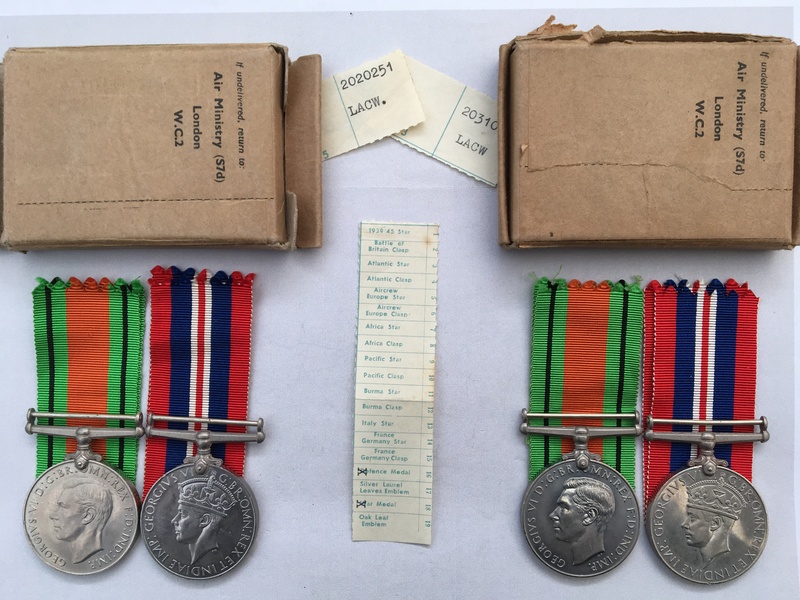 Both these sets of awards come in their original boxes of issues, posted by the Air Ministry to the same address in Richmond Surrey. 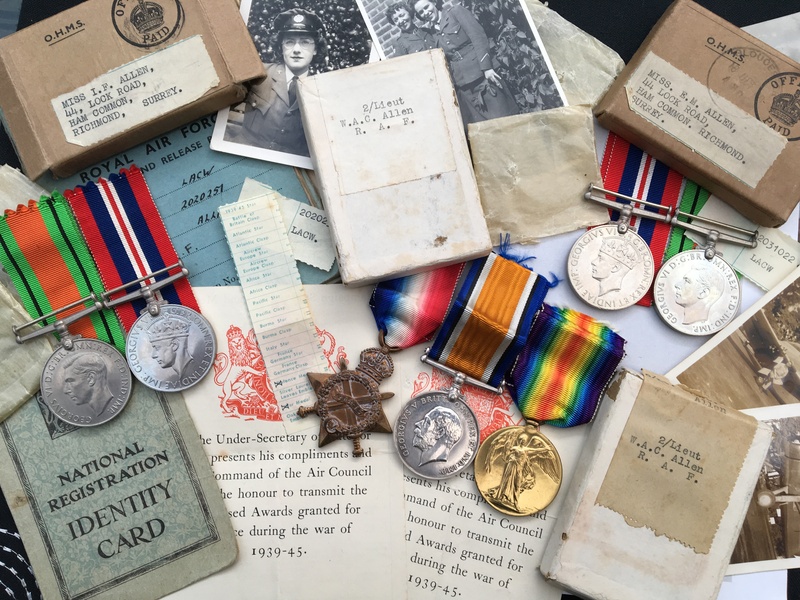 Both sets of medals are loose with their original ribbons, wax packets and RAF ‘ticker tapes’ that are very rarely found to have survived. Both sets include the Air Council Medal Award Slips. Additionally, in regards to Ivy Florence Allen, this listing includes her Identity Cad as well as her RAF Service and Release book, which informs us that she was born in May 1919 and served with the RAF between August 1941 and November 1945. There are a number of photographs of her in uniform and in civilian life, including a number with her sister and several showing aircraft and other service personnel.